Judge Patrick M. Tuten was appointed by Governor Kay Ivey on January 18, 2019. He received his undergraduate degree in Business Administration from Faulkner University in 1991 and his Juris Doctorate from Jones School of Law in 1995. Judge Tuten opened his law practice in Huntsville in 1996 where, as a sole-practitioner, he handled a variety of legal matters as a general practitioner but focused primarily on criminal litigation at both the State and Federal levels as his practice grew. In his 23 years as a practicing attorney, Judge Tuten was a member of the Huntsville Madison County Bar Association where he served previously as secretary. Judge Tuten received both merit and president’s awards from the Alabama Criminal Defense Lawyers Association for which he served on the Board of Directors for many years and as was named President in 2012. During his legal career Judge Tuten was appointed to serve on several Statewide and local committees involving criminal justice issues including Madison County’s Local Indigent Defense Advisory Board, Alabama’s Judicial Study Commission and the Alabama Law Institute’s Criminal Code Committee. Judge Tuten also served as a faculty member for the National Judicial College’s Capital Litigation Improvement Initiative in 2009 and 2010. 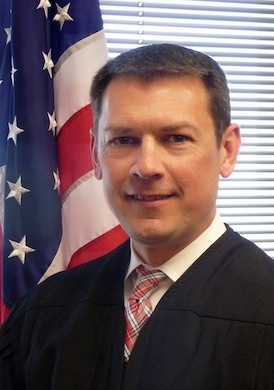 Judge Tuten served as legal counsel for the Madison County Republican Executive Committee from 2012 until his appointment to the bench and currently serves as a member of Alabama’s State Republican Executive Committee.